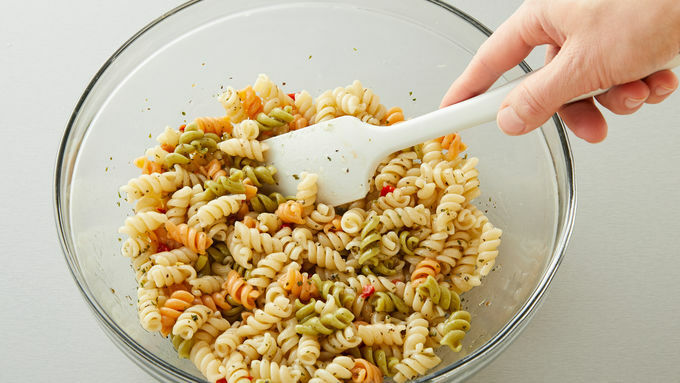 Prepare Suddenly Pasta Salad™ mix per package directions. 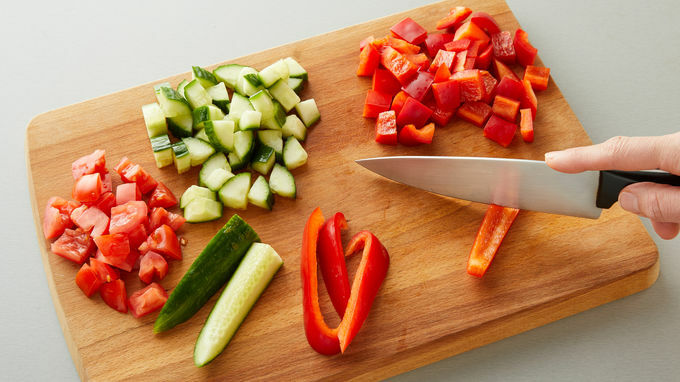 While pasta is boiling, chop vegetables. Drain pasta and cool (to speed up cooling process, put pasta into a bowl ice cold water). Toss pasta with seasoning mix, vegetables, cheese and vinegarette. If possible, let flavors blend overnight. 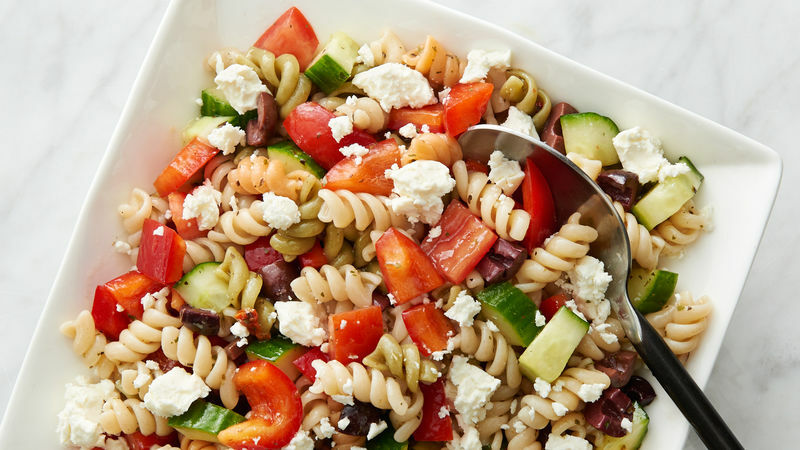 Whatever preconceived notions you have about cold pasta medleys, one bite of this crunchy Greek pasta salad will change your perspective forever. Starting with a box of Suddenly Salad™, you can wow a crowd by simply adding some fresh veggies and a Greek vinaigrette. Bonus points if you have time to let the flavors meld overnight.